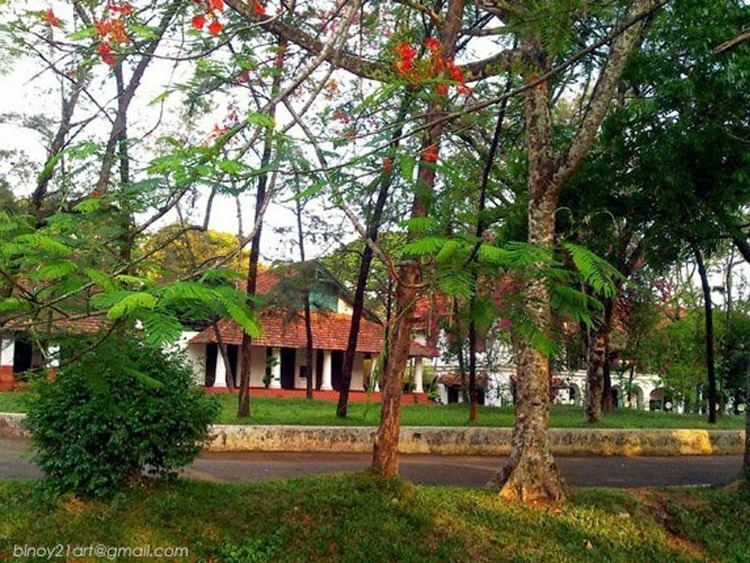 The CMS College (CMS College Kottayam) is one of the first Western-style college in India. CMS College Kottayam is also the first Western-style arts college in India. 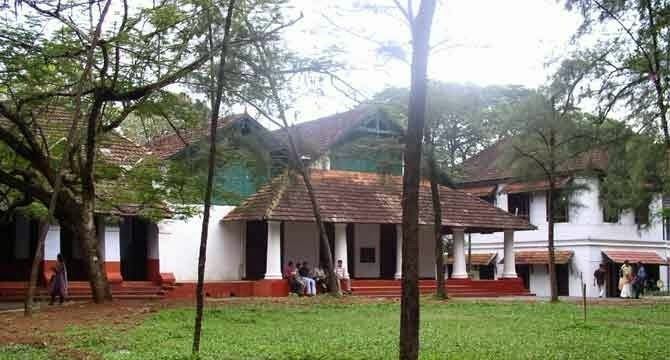 It was founded by the Church Missionary Society of England, in 1817 when no institution existed in what was then the princely state of Travancore to teach English. The first college in the princely state of Travancore, however, was Scott Christian College Nagercoil. Wikipedia says: The college has its origins in a village-church school founded in 1809 at Mylaudy by the Revd William Tobias Ringeltaube, the pioneering missionary of the London Missionary Society in South Travancore. This Central School or Seminary was shifted to Nagercoil in 1818 by the Revd Charles Mead. The Revd Dr James Duthie took charge of the Seminary in 1860, and played a vital role in raising it to a College. The College was patronised by the Resident Monroe. Apart from English, Greek and Latin were also taught. Scott Christian College produced some of the outstanding Dewans of Travancore. University College, Trivandrum had its first Principal from Scott Christian College. Wikipedia says in University College page: "The Maharaja had occasion to visit a school that was imparting instruction in English at Nagarcoil under the auspices of the London Missionary Society (LMS). He was impressed by the school and the quality of the education given there and was convinced that the new type of school held out great prospects for the people of the state. Shortly thereafter he invited Mr. Roberts who was in-charge of the school at Nagarcoil to come to Thiruvananthapuram and start a similar school there. The educationist, who was an Englishman, agreed and a new school was started in 1834." That school developed into the University College.The Rev. Benjamin Bailey was the first principal of the CMS College, as it was then known, and the government of India welcomed the college as "a place of general education hence any demands of the state for officers to fill all departments of public service would be met". The first Western-style college in India now has fourteen departments teaching 47 courses. There are six research centres in the college. Research work leading to the degree of Doctor of Philosophy is conducted in the departments of Botany, Zoology, Physics, Chemistry, English, and Commerce. In the early years of the Old Seminary (Orthodox Pazhaya Seminary), the curriculum included the study of Latin, Greek, Hebrew, Mathematics, History, and Geography besides English, Malayalam, Sanskrit, and Syriac. In 1838, the college moved to a wooded hillock — the present site — commanding views of the distant Western Ghats. One of the oldest buildings in the campus is Room 52, or the "Grammar School", as it was originally called. A college magazine in Malayalam was started in 1864 by Principal Richard Collins, after whom the college library is named. In 1857 the college was affiliated to Madras University soon after its incorporation, and the college began to present students for the Matriculation examination. It provided free education to all its students until 1855, when the fee of one Rupee per month per student was collected. The number of students in 1870 was 129. In 1880, Visakham Thirunal, Maharaja of Travancore, observed on a visit to the college: "Long before the state undertook the humanizing task of educating the subjects, the Christian Missionaries had raised the beacon of knowledge in the land". In 1890, two-year classes were started, and the first batch of students, initially all men, was presented for the F.A. Examination in 1892. Female students were not admitted to the college until 1938. In 1840, the number of students in the College was 220. In 1950, Degree classes were started, and by 1960 the number of students in the college had risen to 1,250. Postgraduate classes were started in 1959. The college is now affiliated to Mahatma Gandhi University, Kottayam. In 1981, the Synod of the Church of South India transferred the management of the college to the C. S. I. Madhya Kerala Diocese. In 1999 the college was accredited by the National Assessment and Accreditation Council with five-star status. In 2004 the University Grants Commission accorded it the status of College with Potential for Excellence. In 2009, the CMS English department celebrated the Golden Jubilee of the introduction of a postgraduate programme. Oommen Chandy, Former Chief Minister of Kerala.